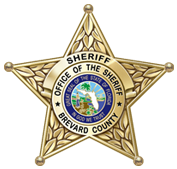 In 2004, while campaigning for the Office of Sheriff, Jack Parker pledged to find less expensive solutions to address the jail overcrowding crisis in Brevard County. 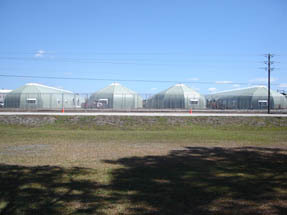 He advised that “tents” could be incorporated as a permanent and integral part of an overall jail construction plan. The more tents that could be erected, the less cost to taxpayers. 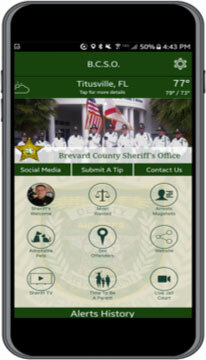 Later that same year, the Board of County Commissioners authorized a jail consultant to create a jail overcrowding study for Brevard County. The consultant’s study showed that 500 beds and certain building improvements were immediately needed at a cost of approximately $43 million. It should be noted that the cost was based on 2004 estimates and the actual cost to build the 500 beds would most likely have exceeded $60 million. Immediately after assuming office, Sheriff Parker proposed a much different and much less expensive plan to the Board of County Commissioners to consider. The Sheriff’s plan incorporated the use of four 100-bed tents and a separate housing unit with an additional 288 beds attached to the existing main jail designed for inmates with mental health and medical issues. His proposal also included a new laundry facility, a new infirmary and an upgraded kitchen and booking rooms. Once County staff priced out the Sheriff’s plan at less than $20 million, the Commissioners quickly approved and funded it knowing it would start to address the jail crisis by adding 688 new beds (188 more beds than proposed by the consultant) and would save approximately 30 million dollars, probably more. 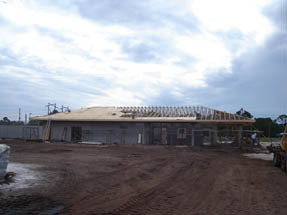 All 4 tents and the laundry facility have been completed and the new medical, mental health housing unit is currently under construction (estimated completion date – March 16, 2008). Sheriff Parker found existing positions within his budget so that he could open tents 2 and 3 without having to ask the Commissioners for more funding. As a result, there are 300 inmates in the tents 1, 2 and 3. 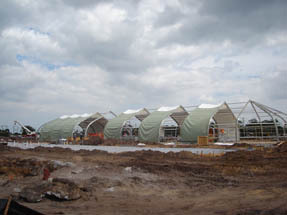 Tent 4 was built with the future in mind and will most likely open in 2008. Inmates were also involved in every step in building the tents and as a result saved a lot of money. Land is cleared and ready. 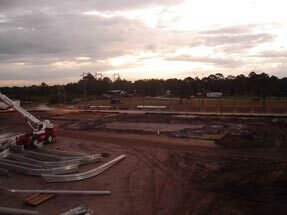 Frames have been delivered. 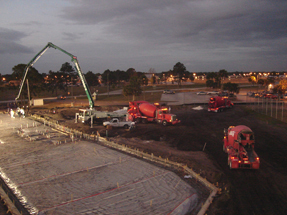 To avoid heat, construction workers pour the concrete at night. 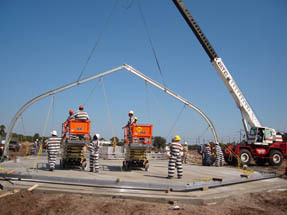 Inmates wearing hard hats help at the construction site by erecting the first frame of the tent. Covering the frame with a rubberized telfan coating. Tents are up, now it is time for pavement. 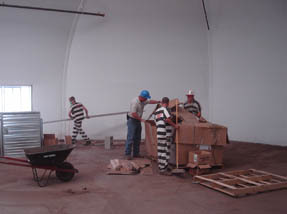 Tent shell has been erected and inmates help with interior construction. Four tents are up with each one housing 100 inmates. Inmates transfer from Jail Annex to tents 2 & 3. 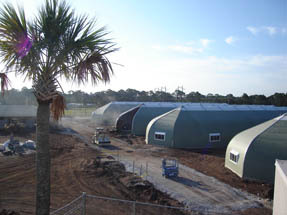 These tents increase the inmate population capacity from 1041 to 1341. 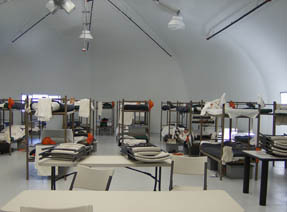 Interior of tent housing 100 inmates.